And then there are some rules that will remind you this guide is the product of a particularly shadowy arm of the U.S. Government. The guide makes a point of defining “disinformation” as opposed to “misinformation.” “Disinformation refers to the deliberate planting of false reports. Misinformation equates in meaning but does not carry the same devious connotation.” Now you know. It’s unclear whether or not the guide is being used for the CIA’s queasily flip, profoundly unfunny Twitter account. 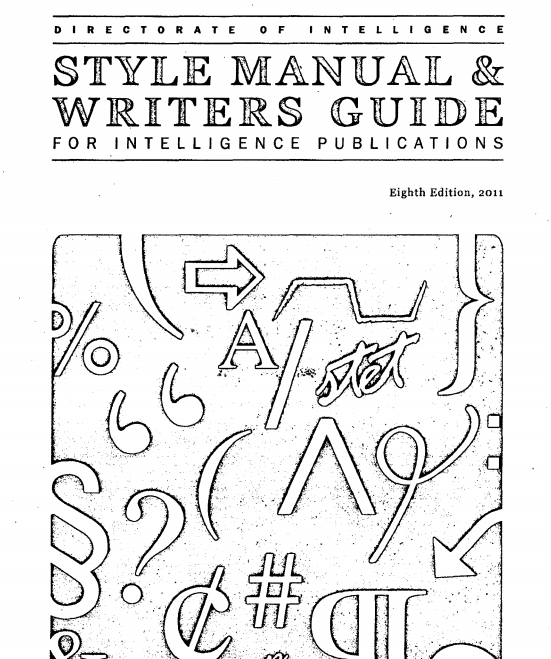 If you're looking for a more conventional style guide, remember that Strunk & White's Elements of Style is also online.